The Cycle to MIPIM 2018 is complete and I’ve been converted to an avid cyclist. I’m the cliché of a man in lycra, lusting after beautifully crafted Cervelos, Condors and Canyons. It wasn’t this way 6 months ago! 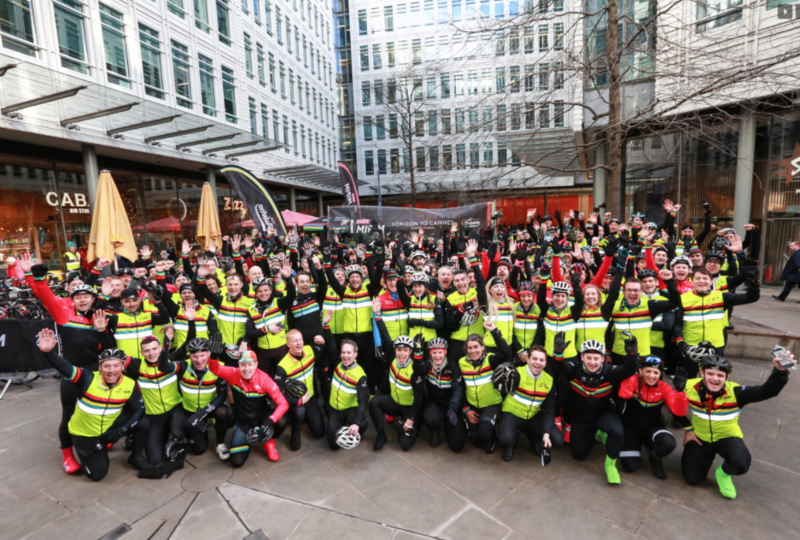 My decision to tackle the event was multifaceted: the general challenge; a new training focus; a chance to make new contacts; and the opportunity to support the amazing work of charity Coram. 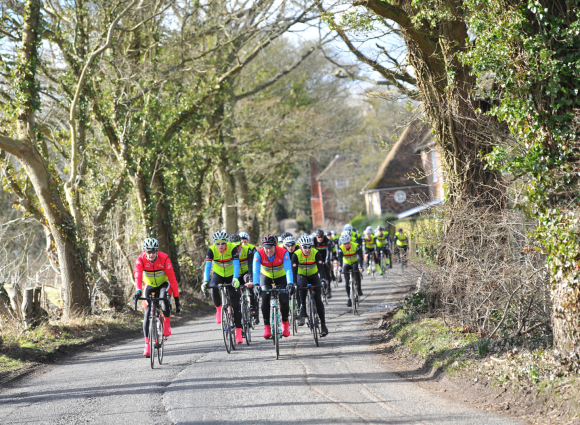 As a complete beginner to road cycling, I can’t thank Club Peloton enough for the excellent support network they provide through training rides, spin sessions, socials and briefing events. I would highly recommend the event, but it’s not something to be taken lightly! You will not coast it (even at the minimum of 580km over 6 days), you need to prepare in advance. My training started shortly after my bike arrived in early October. I learnt the importance of fuelling before, during and after riding (one of the best things about cycling is the eating), how tricky clipped in pedals are and how smooth (or not) our roads in the UK are. As I got to grips with the fundamentals of riding, I increased my distance and time in the saddle to the point where, just before Christmas, I spent a week in Lanzarote and covered 400km. I felt well set, cycling on smooth roads in 20˚ sunshine – it was honestly like a different sport. Then came January and the challenge of keeping up my mileage. It was a long, cold, wet month. So, to the start. 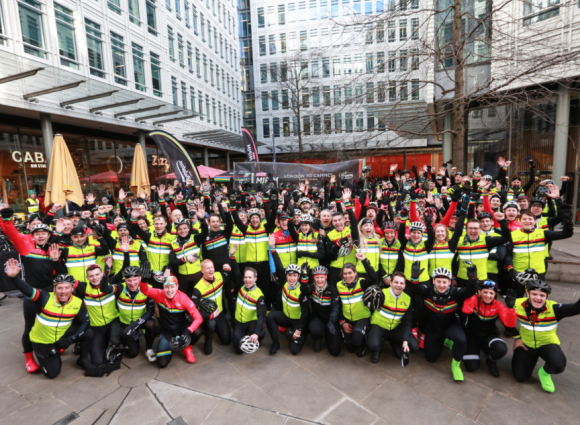 All 200 riders and 70 support crew gathered in anticipation at Central St Giles for the 9AM set off. The two pelotons headed their separate ways (one via Portsmouth and the other via Folkestone) to meet again on Day 6 just outside Cannes. There was a real mix of ages, abilities and physiques on the ride. Our Ride Captains, Christian Spencer-Davies and James Findlater, were fantastic. They helped us temper the desire to push when you personally felt strong, to be mindful and communicate with our teammates to ensure we progressed well as a group. 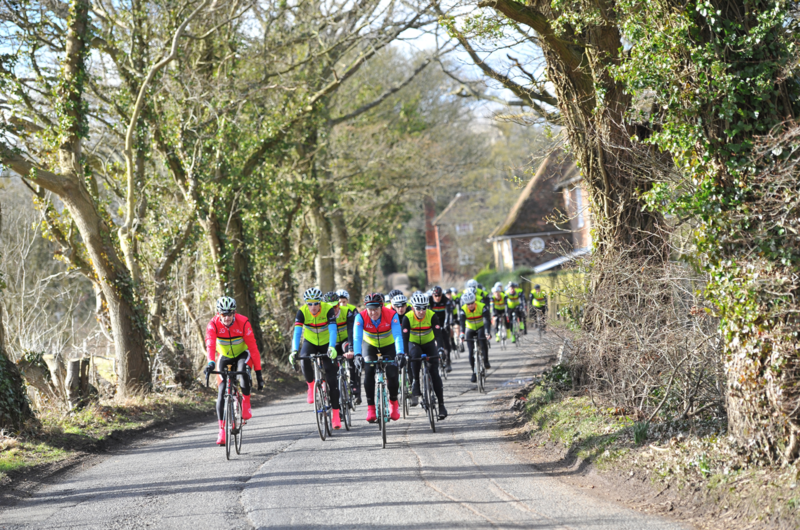 It took three days of practice but our rolling chaingang (that thing you see the Olympic pursuit team do) was the envy of the Peloton, but more importantly it had developed a real team ethic and bound us as a group. The final day, riding through the mountains in glorious sunshine, covering 180km and climbing close to 2500 metres, was incredible. The highlight of the trip for me though, was our 40km night time descent into Valance, which our team led out. It’s hard to describe the thrill of travelling through a city at 25mph plus, under the illumination of our bikes, running red lights, roundabouts and junctions whilst our motorcycle outriders blocked oncoming traffic before rifling back past the Peloton to get to the next obstacle before we did. 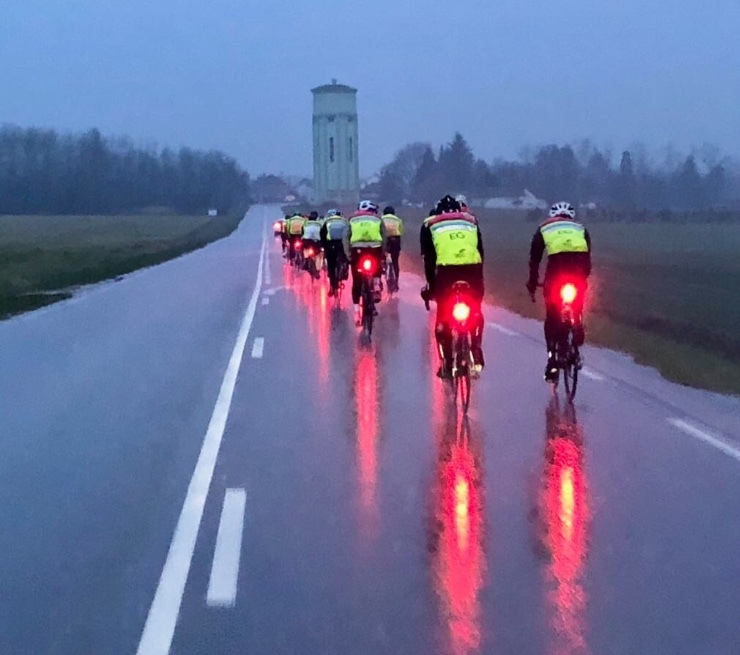 The event is a relay, where your team are given between two and three allocated stages to ride each day and whatever you chose to do beyond this is personal choice. I had set myself a target of half of the 1500km total distance, so slightly more than the minimum. As it happens, I rode just over 800km. Could I have ridden more? Probably, but as a beginner I didn’t want to overcook it, especially as I knew I had to complete MIPIM after the ride. I’m glad I spent the other 700km on the bus as you can’t debate and laugh like we regularly were and stay upright on a bike. I would also say, unless you travel a few stages on the bus, you can’t appreciate what an amazing job the support crew do. A lot are volunteers and it’s fair to say that without them, the event wouldn’t work and so our support for Coram wouldn’t happen. Seventy crew to 200 riders, including: marshals; managers; cooks; masseurs; mechanics; drivers… the list goes on. All of these people were up an hour before the riders and in bed an hour later; we ran on about 5 hours sleep each night. The logistics behind stage starts, breaks and lunches ran seamlessly. At every change over, racking was erected for the bikes and bikes were unpacked, and the various teams were set up to provide the support we needed. Rhian continued to smile and cajole as she received resentful looks as the bearer of the constant 10min warnings. Once the Peloton had ridden off, everything was dissembled and the show moved onto the next stop. This happened 35 times over the 6 days. The event was a real challenge for everyone involved but I finished with an enormously positive feeling about the whole experience. I’ve made some useful connections for our Practice, but more importantly I’ve really got to know those people. Diversity for the event is not as good as it could be, but that’s reflective of the industry, MIPIM, and cycling. The mix in our team, both gender and ability, is what made it work so well. 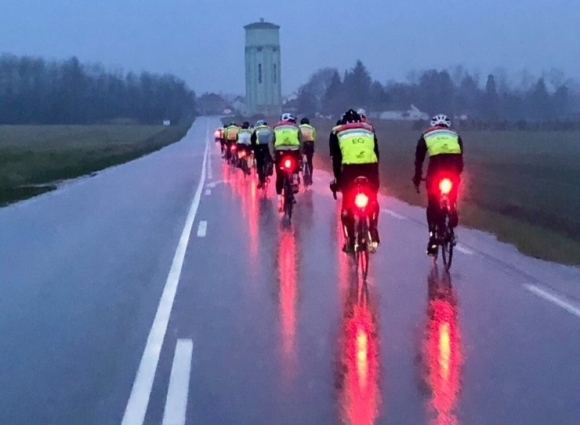 I’m sure that Club Peloton will be redoubling their efforts to push for diversity and new riders for 2019. It’s certainly great to see the article in Estates Gazette by Sam McClary sharing views from Zoe Sharpe, one of the riders in my team. In case you haven’t guessed the answer to the burning question, yes, I would do it again. I hope to be there in 2019 all being well. If you are intrigued or tempted to try it yourself and have any questions please contact me, I’d be happy to share what I’ve learnt along the way. Top tip: Double shorts on Day 6.